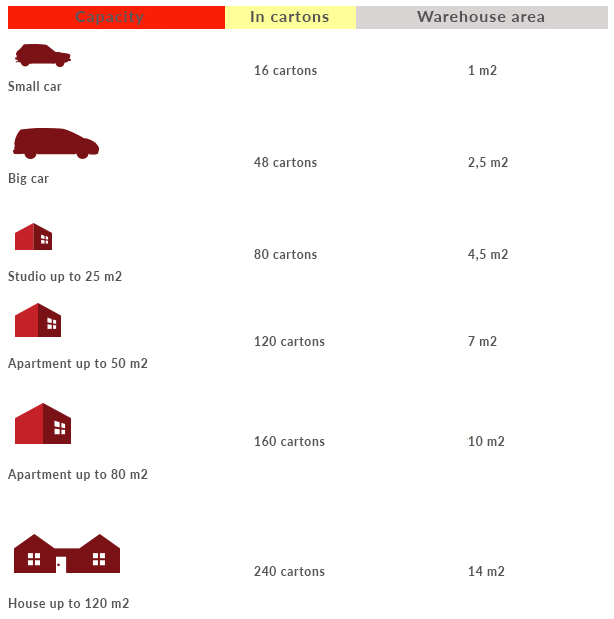 Rental prices depends on the warehouse area. We rent lockers of various sizes – the smallest rooms is 0.5 m², and the size of rooms increases every 0.5 m² (1 m², 1.5 m², 2 m², 2.5 m² …) up to 40 m² – rooms height is 2m and 3m. The larger area, the rental cost per 1 m² is smaller. Each warehouse has an individual price. We rent the cheapest storage for 90 PLN monthly (gross). The rent is the only cost of the lease, not counting the refundable deposit in the amount of the monthly rent, which is paid at the conclusion of the contract and returned at the time it expires. If you store more items, you can buy additional insurance. Book Your Cell Now !!! Free reservation for one week. Call us 22 215 55 55 or write kontakt@fort24.pl.